"Nothing but great things to say about Dr. Moulavi and his staff. Highly recommend!" "Dr. Moulavi is the best doctorr ever!! He is knowledgeable, thorough, and caring." "The place is amazing! All the people were so helpful and friendly and caring." "I definitely would recommend Smart for Life." "Great Experience with the doctors, the staff is wonderful." "Smart For Life in Boca tops the charts. They are incredible at what they do." "Dr. Sasson Moulavi has been keeping me alive since 2005. He is the absolute best." "Dr. Moulavi is very knowledgeable and a very caring." 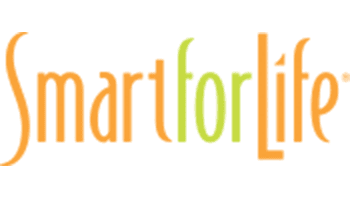 Smart for Life® offers weight loss services and other types of care for patients in Boca Raton, Florida. Dr. Sasson Moulavi, the Medical Director of Smart for Life Weight Management Centers, oversees and provides these services. Patients who come to this facility have access to medically supervised weight loss services, lifestyle programs, and weight loss products. At Smart for Life, patients go through a weight loss program under the care and guidance of Dr. Moulavi, a medically trained physician who specializes in bariatric medicine. The program includes several features that assist with weight loss, including a BMI analysis, metabolic monitoring, and motivational support. Patients can depend on the Smart for Life medical program to achieve their weight loss goals, along with improved health and superior well-being. Patients in Boca Raton also have access to the Smart for Life Lifestyle Program when they see Dr. Moulavi for weight loss. The program includes weekly support calls and the ability to order Smart Foods, which help patients healthily lose weight. Patients can choose from a wide selection of Smart for Life snacks and other food products that are designed to assist with weight loss. Coming to Smart for Life in Boca Raton means achieving weight loss in a friendly, supportive, and caring environment. Patients can also get allergy testing, sign up for concierge medicine, receive infusion therapy, and more. All of these services are intended to help patients enjoy a healthier and happier life. Smart For Life is currently accepting new patients, and the team can't wait to meet and serve you. Schedule your consultation by calling or clicking today. Smart for Life accepts most major insurance plans. Please contact our office if you do not see your insurance plan listed. "My favorite doctor of all time! Spends a good amount of time with his patients, I did not feel rushed at all." "This place has changed my life and the people that work here are wonderful, full of life and plenty of energy believe me." "They won me over hands down. They are what health care is all about! Thank you, Smart for Life!" "THE BEST. They honestly care about each and every patient, how they are doing both with the diet and personally." "The staff at the Boca Raton location are more like family than I could imagine." "Dr. Moulavi is always warm and professional with me. I appreciate his knowledge and enjoy coming to this office." "Dr. Moulavi is the most qualified not only in weight loss but in all facets in the medical field." "Both Dr. Moulavi and his right hand Brenda Barton are always knowledgeable. The experience is always consistent and motivating." "Dr. Moulavi is always available when needed. I have always found him to go over and above to make sure I am taken care of."